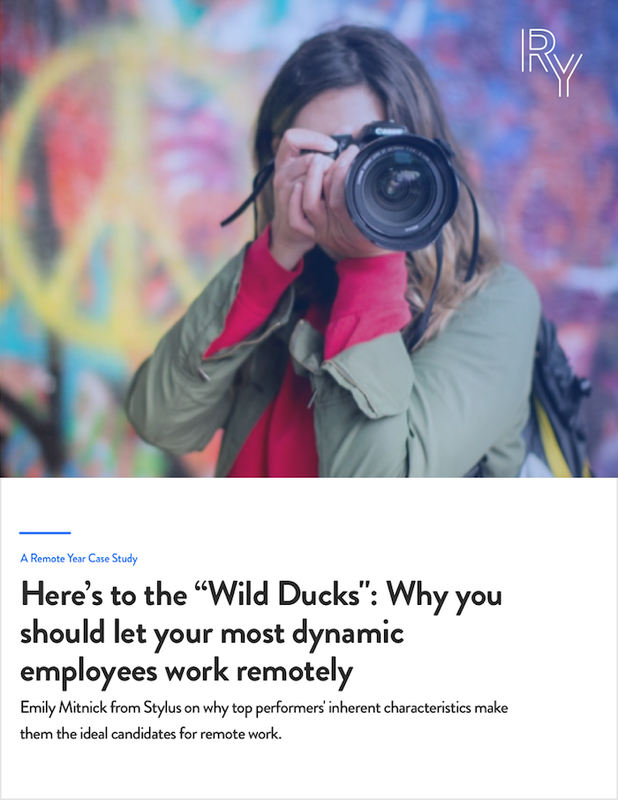 Emily Mitnick from Stylus on why top performers' inherent characteristics make them the ideal candidates for remote work. Get your Future of Work Case Study. Interested in Remote Year for Your business? Let's talk. Get your free Case Study today. Yes, please tell me how many of my employees have applied to Remote Year & get the latest from us via email. By entering your number above and clicking “Get Your Case Study”, you’re confirming that we may call or text message the telephone number provided by you, including via automatic dialing technology. Consent is not a condition of participation and may be revoked at any time. Standard message & data rates may apply.